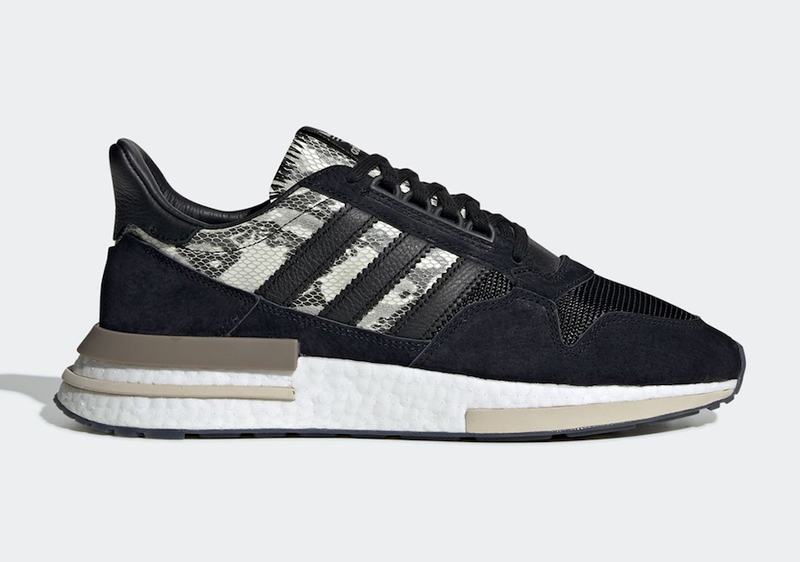 The Three Stripes Brand is aiming to add its creativity and luxurious on its beloved ZX 500 RM silhouette. 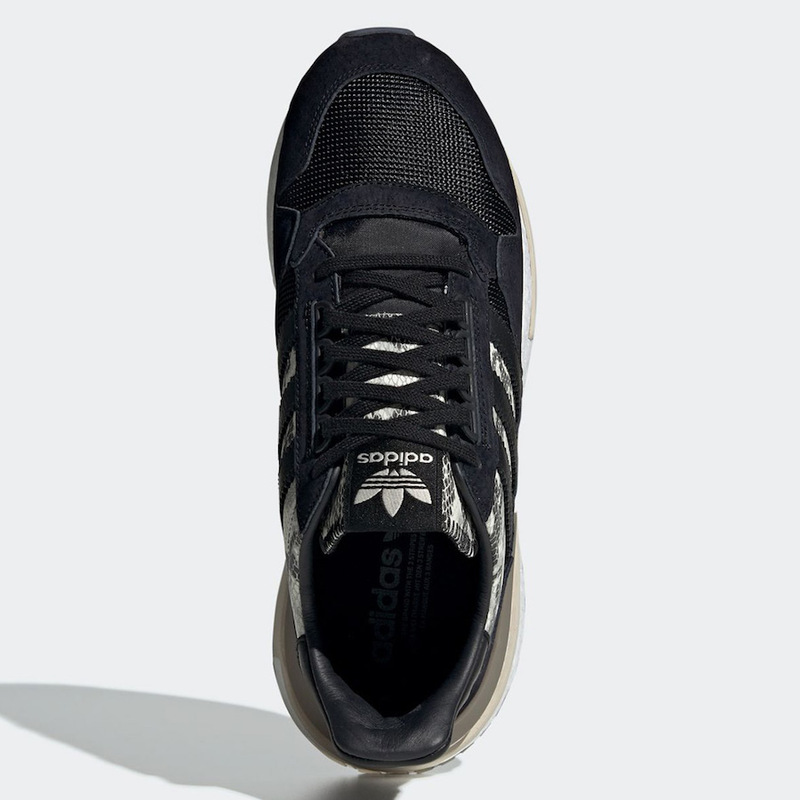 This Adidas shoe is coming in a mix of a core black and cloud white color option, it features an upper built with a mix of mesh and suede materials, adding to the leather which the three stripes on the lateral sides. 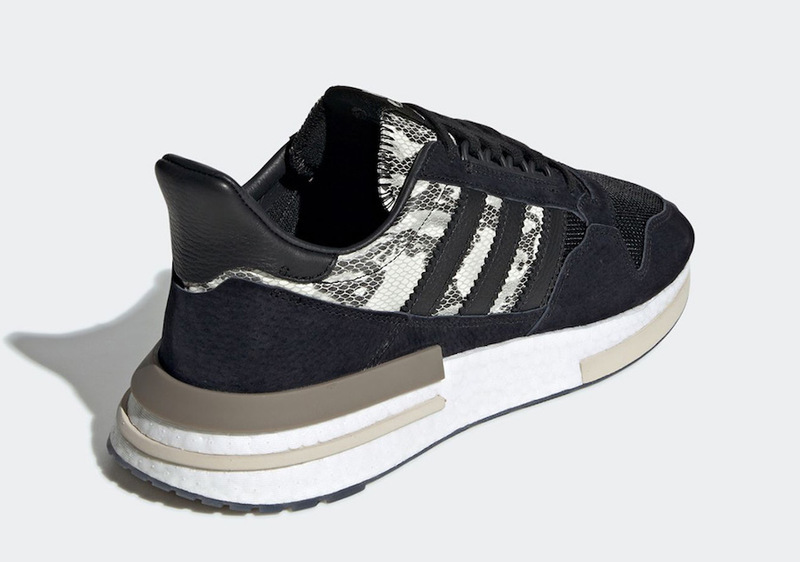 The new and unique detail includes the Snakeskin textures underlays and as well as on the tongue. 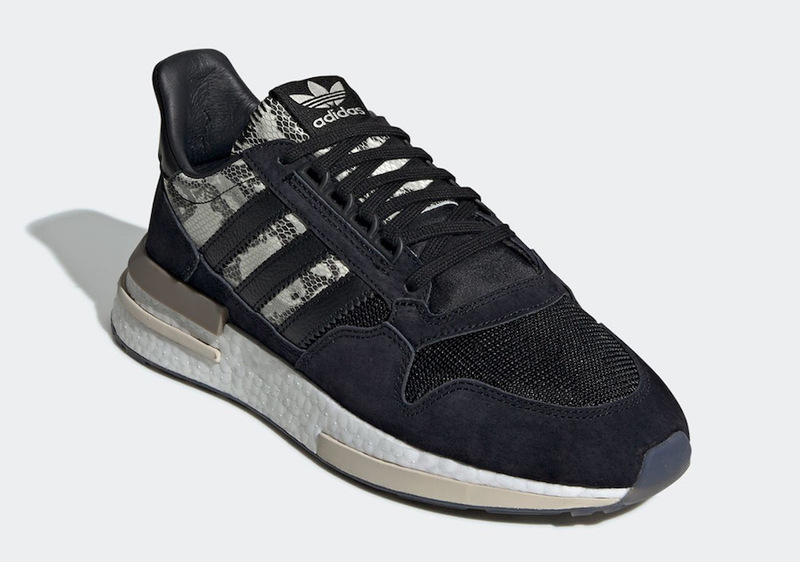 A white boost midsole with a dark translucent outsole tops-off this design. 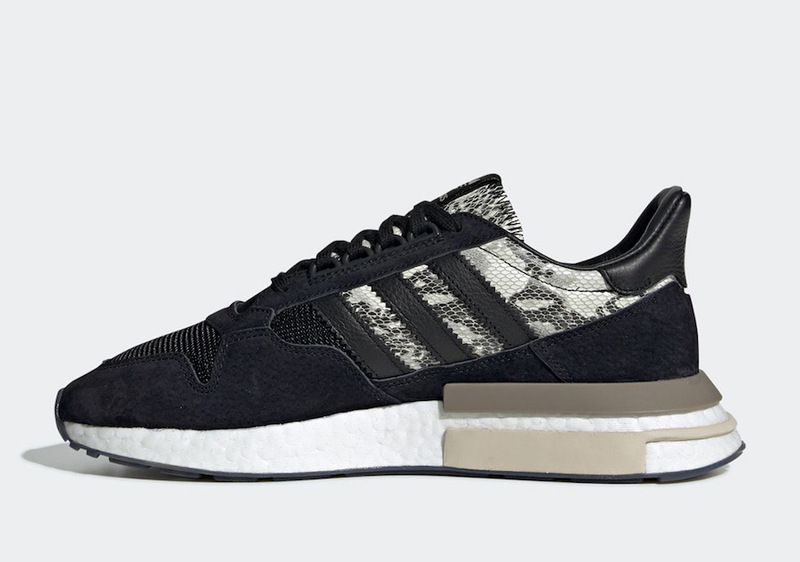 You are able to enjoy this Adidas ZX 500 RM ” SnakeSkin” right now on adidas.com. 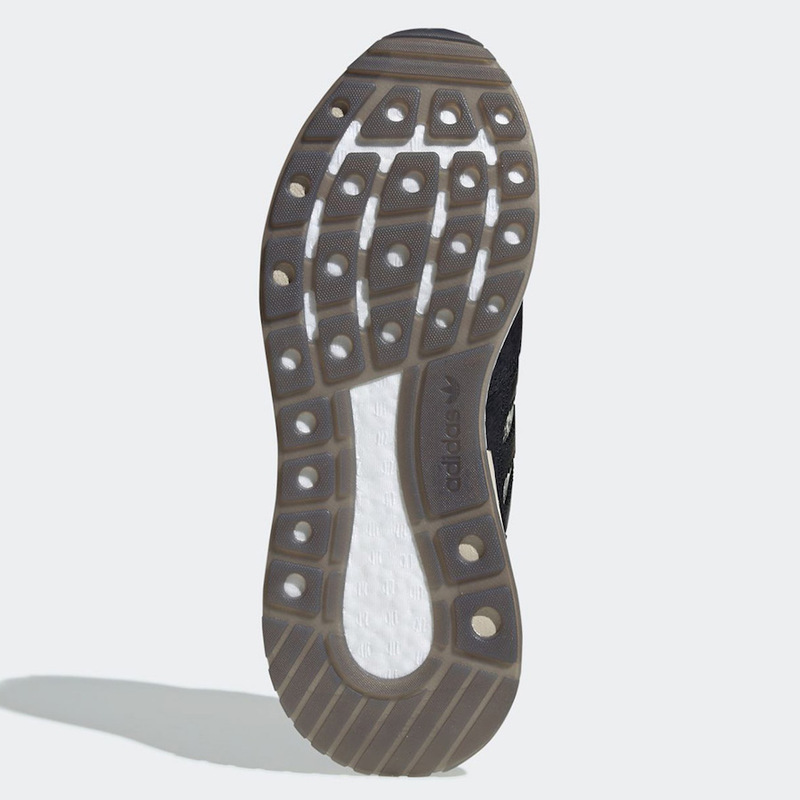 Take a look down below and grab a pair for $140 USD. Feel elegant.